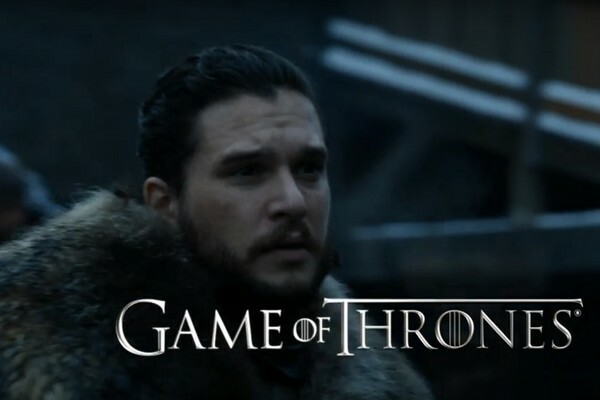 The first footage from Game of Thrones Season 8 has arrived - although blink and you might miss it. The new snippet comes as part of HBO's 'coming soon' trailer showcasing a number of its upcoming properties, and as far as Thrones is concerned mostly uses old footage. There's a shot of Gendry swinging his hammer, the Loot Train Battle from The Spoils of War, and Jon, Daenerys, and Cersei in the Dragonpit, all of which comes from Season 7. Hidden amongst it all, though, is a quick shot of Jon and Sansa hugging at Winterfell, which IS from Season 8. It's a tiny moment but, after being starved off footage for over a year, even the smallest crumb is going to be wolfed down. An isolated version of the clip can be viewed below. Jon making it back to Winterfell means that Daenerys is very likely in this same scene, and while he looks happy to see his sister, she doesn't exactly look overcome with joy to see him. Or maybe she's glaring like that at Dany. Or maybe this is just reading way too much into a two-second clip, but it's been a REALLY long time. What do you think will happen in Season 8? Share your thoughts and theories down in the comments.